Monaco coach Leonardo Jardim says striker Kylian Mbappe was left on the bench last weekend "to protect him" rather than as a punishment. The 18-year-old reportedly wants away from the French champions, with Paris Saint-Germain his favoured destination but Real Madrid also reportedly ready to pay £160m. 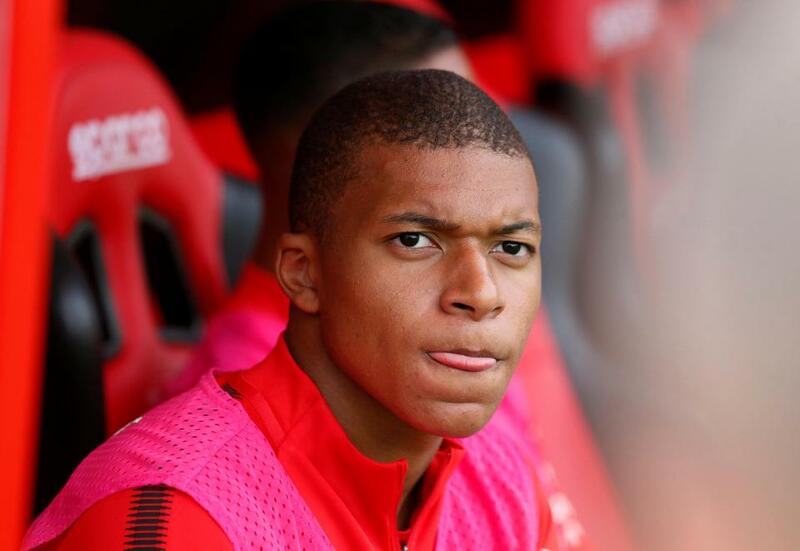 Mbappe started Monaco's first two competitive matches of the season but sat on the bench for the duration of the club's 4-1 Ligue 1 victory at Dijon on Sunday. Jardim said after that match that dropping Mbappe was a "decision by the club" but the Portuguese coach told media on Wednesday that it was not taken to punish the French international. "We never punish our players. That is not the right word. 'Protected' is a better word. When so many things are happening around an 18-year-old kid, it is our responsibility to protect him," said Jardim. "That means me, Vadim [Vasilyev, the vice-president] and the sporting director [Antonio Cordon]. It is always to protect the squad, the player and the club. "Kylian is not at 100 percent. He is not in great form. But that is to be expected of a kid who is just 18... Even you [journalists], if tomorrow another newspaper offers you a contract where you will earn 15 times more, you won't be so good when it comes to tapping the keys on your computer keyboard." Mbappe, whose Monaco contract runs until June 2019, could again be left out when his side travel to Metz on league duty on Friday evening. "The philosophy at AS Monaco is to play those who are at 100 percent and totally available to the squad," said the coach, whose side have won their opening two Ligue 1 matches.